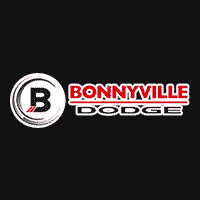 If trucks are the bread and butter of what makes your driving life better – come down to Bonnyville Dodge and let’s get you back on the road with the right model to meet your needs. With an assortment of top-quality used Dodge Ram 1500 for sale near Athabasca, our team is eager to show you the various options that aim to put a smile on your face and get you driving without complications – just a great experience from wherever you’re starting to wherever you’re going. Explore the world and get to work with a truck line that impresses no matter where you’re going. Choose our store because we aim to give you reasons to come back in the future thanks to great service and exceptional commitment to your satisfaction. Fortunately, with the Ram 1500 you already have a world-class vehicle line to give you more reasons to travel and the support that makes work even easier. Choose models that range from the Ram 1500 equipped with Canada’s Best-Selling Engine, the 3.6-Litre Pentastar VVT V6 to the 3.0-Litre EcoDiesel V6 and the 5.7-Litre HEMI VVT V8. The Pentastar offers 305 horsepower and 269 lb-ft of torque along with outstanding fuel economy. When you need even more power, the available 5.7L HEMI® V8 produces an impressive 395 horsepower and 410 lb-ft of torque for a towing capacity up to 4,826 kg (10,640 lb). Not only is the 5.7L HEMI Canada’s best-selling V8, based on the past 6 years of registration data, it’s also the heart of the Canadian Truck King Challenge winner for 2017. Find your used Dodge Ram 1500 for sale near Athabasca at our store today!